It is with great sadness that we announce the passing of AJ Kirk. 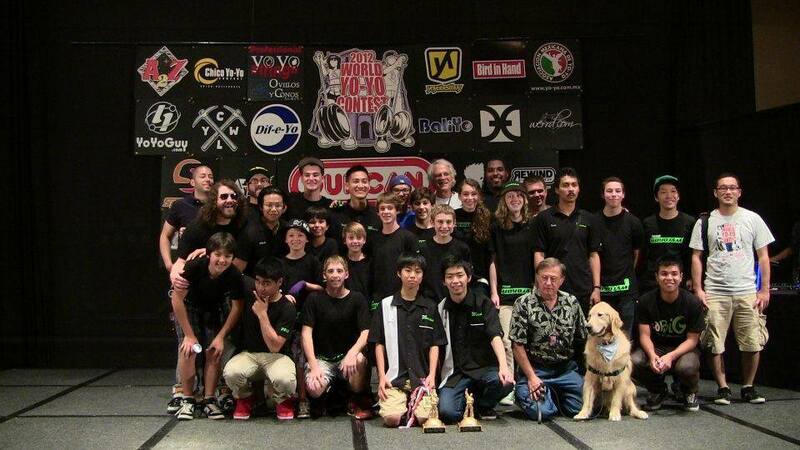 A true force of good in the yo-yo community who we will never forget. AJ’s impact on the yo-yo community and the friendships he made will be forever eternal. His passion for the sport and for enjoying life to its fullest was obvious from the minute you met him. A mentor in so many ways he personally devoted his time to trying to make others happy wherever he was. From teaching new kids their first throw at YoYoJoe’s Yo-Yo Club to his amazing work in hospitals – putting smiles on people’s faces who needed love and hope more than ever. The minute he walked into a yo-yo contest you knew he was there – high energy and so much fun. He touched so many lives and the world is a better place because of him. A member of Team YoYoJam from the early days he had a long competition career even placing 3rd in 5A at the 2006 World Yo-Yo Contest. Locally he worked hard to support the local scene at Mitchell’s (and later YoYoJoe’s) and co-hosted the YoYoRadio Internet Show with Joe Mitchell. He helped judge contests across the east coast and was always willing to help out wherever & whenever he could. He was also an avid juggler and performer – balancing chairs on his head and pulling off a 5 ball cascade. Most recently he helped create the Tiki Tiki YoYo Club in Delaware and had an amazing following of people. His signature series yo-yo the Ring Master was everything he had hoped for in a design and I can still remember how happy he was the day that became a reality. His presence in our community will be forever missed. RIP our friend and thank you for the memories. I’m incredibly sad to announce the passing of Troy Adrian Talbot. He was only 26 years old. Troy was struck by a car on December 22nd, 2014, and has been in what we thought was a “stable” coma since then. There were no broken bones, just swelling from a head injury, but he was unresponsive and couldn’t breathe without aid of a ventilator. The swelling in his brain was beginning to subside and doctors were hopeful, but his lungs simply would not return to functioning on their own. His exact time of death is unknown, but we lost him in the past 24 hours. Troy was young, hopeful, bright, creative, and a shining example of the sort of people that I hope are rising up to take the place of my generation in the yoyo industry. 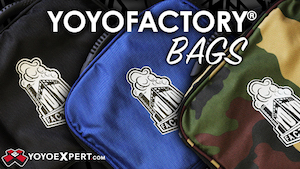 His fledgling company, Sorry YoYos, was beginning to gain some traction with a collaboration with Paul Escolar, and pre-orders for their yoyo, the Ratchet, hit their goal pretty quickly. 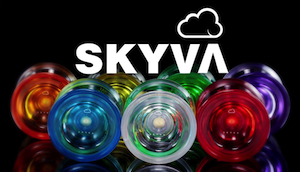 At last word, Troy’s roommate Sebastian Brock and Sorry YoYos team captain Tucker Holland are working on getting production finished so that all pre-orders could be honored. We’ll update more on that as information comes in. This was a tragic accident. It was such a stupid and pointless way for us to lose one of our own. There’s no sense to be made of it, it’s just something horrible that happened and it’s normal for friends and fans to feel a sense of helplessness about something so sudden. Please, please reach out to your family, friends, counselors, etc. and find someone to talk to about this. Grief is a strange and difficult thing to deal with, but we can’t let it drag us down. Troy would have wanted us to face the future just as he did…with a smile and a heart full of hope. I’ve just received word that Stuart Crump, Jr. lost his battle with Parkinson’s Disease, and passed away on December 31st. The yoyo industry and community has lost a great friend. Below I’ve reprinted Joe Mitchell’s bio of Stu, created when he was honored at the 2003 World YoYo Contest. On a personal note, when I first started playing Stu’s “YoYo Times” newsletter was literally the only form of communication between yoyo players, and I remember it fondly. Receiving those yellow photocopied pages in the mail were a highlight of my early days as a yoyo player, and it was truly a labor of love for Stu. If anyone has a complete or nearly complete set of the old newsletters, we’d love to create a digital archive of them for historical purposes. Please get in touch if you can help. Stuart Crump, Jr. is best known in the yo-yo community as “Professor Yo-Yo” the editor of “Yo-Yo Times” the longest running yo-yo periodical. Like many of us, Stu was introduced to yo-yos by a professional demonstrator. But he didn’t meet the yo-yo man at a contest or school demonstration. On a family vacation to Charleston, SC, the Crumps had the good fortune to be staying four doors down from Joe Radovan, owner of the Royal Yo-Yo company. The year was 1954 and every night found Stu and his brother watching in amazement as Radovan worked the yo-yo. Stu bought his first yo-yo at a corner store that summer: a three jewel Royal that cost 20 cents. Radovan carved an island scene on it and encouraged the boys to learn the basic tricks. After returning home, Stu was pleased to find that girls noticed his new yo-yo skill, but gradually the toy moved to the back burner until 1960. That year a Duncan professional came to town and inspired a mini-craze. Then Stu put his yo-yo back in the drawer until 1972, when he received a silver Gorham yo-yo as a wedding present from his brother. In 1980, the Crump brothers started an important newsletter “Cellular Radio News,” serving the fledging cell phone industry. Stu was promoting the highly successful newsletter at an electronics show in Las Vegas in 1985, when he saw the Smothers Brothers perform. Tom Smothers had just incorporated the Yo-Yo Man routine into his act and Stu’s interest was aroused again. In 1987, he was given a newly-released Tom Kuhn Silver Bullet as a gift. A call to Tom Kuhn resulted in a discussion of the need for communication among yo-yo enthusiasts. Thus the idea for the “Yo-Yo Times” newsletter was born. In 1988 the first issue appeared. Its yellow pages contained new tricks, interviews with yo-yo players and manufacturers, new product announcements, contest news, ads for videos and string. In other words, it was everything a player needed to know and the newsletter rapidly became the glue binding together a newly-active yo-yo community. Yo-Yo times was critical to bringing together the people and publicizing the events that have built yo-yo into the worldwide sport and activity it is today. Now in its 15th year, the newsletter is still going strong, although it has moved from the yellow papers of yesterday to being published electronically on the interenet and Stu now shares the editing with his daughter Jodi. Any yoyo players in Sacramento are invited to meet up at 11 AM PST at the Sacramento Memorial Auditorium tomorrow, January 3rd, for a short gathering to commemorate Stu’s life. 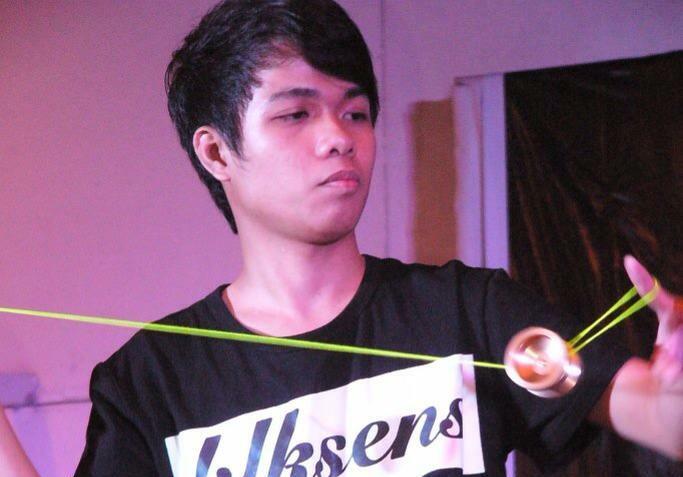 We’re very upset to report that 2011 Philippine National YoYo Champion Robert Tamayo has passed away. He was admitted to the hospital approximately one month ago, and on Friday, March 28th he died from complications related to meningitis. Our thoughts go out to his friends and family. Robert was really a silent guy and shy person. But when he played yoyo, you saw a totally different Robert. Speed, technique and style; his performances really got the attention of the crowd. I wish he had more time to live and represent our country by joining contest outside the Philippines. I met him briefly a couple of times…he was a very serious player. Really “in it to win it”. I remember him competing at the 2011 Philippine National Contest, and he was really focused on that win. It was nice to see him win…he really deserved it. He was a really good kid. I know he had many friends within the Flipspin community, and I was lucky to have the pleasure of knowing him. He truly loved everyone and especially yoyoing. In the earliest days of yoyo players running their mouths on the internet, Bob Bowden was always a voice of experience and reason. He was a good man, a good friend, and I’m damn sad to see him go. He’s spent several years now fighting cancer, and I don’t think it ever slowed him down. The picture above is just a few months old, and he looks old and tired (don’t we all) but content. Through all the treatments, I remember him posting about how much they sucked, but I never once heard him even come close to giving up. I wanted to link you to some of Bob’s posts on the old yoyoing.com/news board, but that whole forum has long since crashed and burned. I wanted to call up specific bits of how funny he could be…Bob had an amazingly dry sense of humor that he shared often, but all those posts are gone. I can talk about how he wrote a yoyo book, or how he ran a website that compiled links and resources because at the time no one else was doing it, and he though it would be useful. He did school shows with yoyos and he was on the Board of Directors of the AYYA and and and. But right now, none of that matters because he was my friend and now he’s gone. And I just miss him. I miss knowing that he occupied a small part of the world. A star went out, and everything is a little darker for it. Robert BOWDEN / August 5, 1954 – August 6, 2013 / Bob passed away peacefully at the North Shore Hospice with family at his side after a lengthy battle with cancer. He is survived by his son Dominic of North Vancouver, his sister Sharon Calder along with her husband and Bob’s friend Roy Calder of White Rock, his niece Andrea McVey with her husband Iain and children James and Emily of Coquitlam and his friend Luzia (Dominic’s mother) from North Vancouver. He will also be sadly missed by the many musicians in his life and his coworkers at Save on Foods. 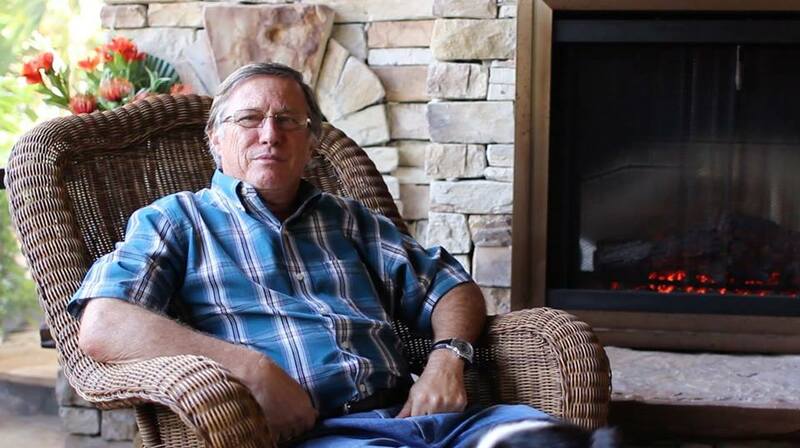 Bob was born in Vancouver, BC to Robert and Charlotte Bowden.